What is “Kindergarten” in Australia? Kindergarten is a special time when a child moves from the safety of home or daycare to a ‘big school’ environment. This can be daunting for both the child and their parents. Kindergarten is the first enrolment year into Primary School for ALL children undertaking education in New South Wales, regardless of which Division (Japanese or NSW) a child chooses to enter into from Year 1. Kindergarten has an entrance ceremony around mid-January every year. To be eligible for enrolment, a child MUST turn 5 years of age by the 31st of July of the starting year. Please note, if your child was born between April and July and is 4 years old at the time of the Kindergarten entrance ceremony, they will not be eligible for Year 1 of the Japanese Division in the following year, as they will not have met the minimum schooling age of the Japanese curriculum. 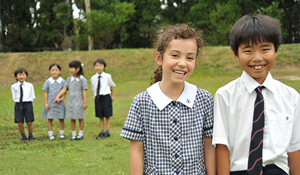 In this case, children have to proceed to Year 1 of the International Division (NSW Curriculum), then proceed to Year 1 of the Japanese Division the following year. SJIS accepts children of ALL nationalities and religions. 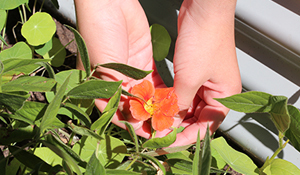 This allows for the very best environment to nurture children’s respect of one another through cultural diversity. The small class sizes at SJIS accommodate children’s individual needs in order to make them feel as comfortable and welcome as possible. Our Kindergarten feels like a home away from home. The Kindergarten to Year 6 learning program at SJIS is derived from the NSW Education Standards Authority (NESA) syllabuses for NSW schools. 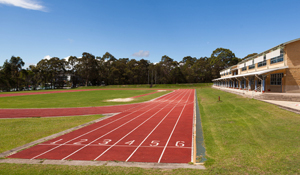 The NSW curriculum includes the Key Learning Areas (KLAs) of English, Mathematics, Science, Human Society and its Environment, Creative Arts, Languages, Personal Development, and Health and Physical Education (PDHPE). There is a strong focus on English and Mathematics, housed within a challenging and inclusive framework, to nurture every student’s excellence and potential best. The timetable is structured with a 6 period day, each lesson being 50 minutes long. The children learn Japanese in addition to the standard NSW syllabus. From Year 1, students enjoy ‘mixed lessons’ between Divisions, in the areas of Visual Art, PE, Computer Coding and Music. 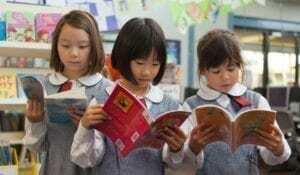 From Kindergarten, children are required to learn a foreign language on top of the standard NSW curriculum. Kindergarten second language learning is achieved through the use of games, music, play and discovery.. Students will be educated in a class with friends from different cultural and language backgrounds, which fosters and encourages a culture of acceptance from a young age. For more detail about the SJIS foreign language program please refer to the Japanese Language Program section of our website. Music is studied by ALL SJIS Kindergarten students as part of the Creative Arts component of the NSW curriculum. Our Japanese teachers deliver the Kindergarten music program. By learning Japanese and English songs, we promote language skills, and children learn about both Japanese and Australian culture. From Year 1, music lessons are ‘mixed’ lessons, with both Divisions coming together to learn the Pianica and recorder (which are the first instruments taught from Year 1). A school day can be a long time for many kindergarten students. Therefore, for the first 3 weeks of Kindergarten, school will finish at 2:30pm. This allows for a gradual build up to the full Kindergarten day. We recommend that Kindergarten students be dropped off and picked up for these first three weeks of Term 1, in order to ease any potential anxiety around adapting to school life. After the initial 3-weeks, children can use the school bus service, if required. Our Kindergarten teachers have experience in teaching children who have little or no English/Japanese language abilities. Sometimes they use Japanese for instructions where it may make it easier for students to understand directions. A heritage Japanese teacher delivers the Japanese language program. By being patient and caring, our language teachers ensure your child gets the attention they need. Every September, the Japanese Language Department holds a Japanese Language Festival, which showcases children’s progression in Japanese language, through the use of plays, music and song. The International Division (NSW Curriculum) calendar year commences in January and concludes in December each year. The Japanese Division school calendar year runs from April to March. This coincides with the calendars of schools in Japan. For students who complete their Kindergarten year in December, and wish to move into the Japanese Division from Year 1 onwards, there is a bridging period between January and March of this first year after Kindergarten. Students will enter Year 1 of the International Division (NSW Curriculum) for the first three months of the Australian calendar year (January – March), and will then transfer to the Japanese Division from April, which is the commencement of the Japanese calendar year. They will then proceed through Year 1 in the Japanese Division from April to March.